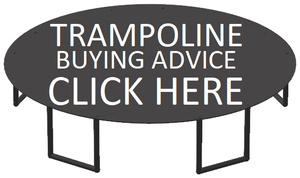 Jumpy Joey offers free shipping on a wide range of trampolines to the contigeous US. If Shipping to Hawaii, Alaska, or Canada the order will incure shipping charges. Most orders will ship through UPS Ground but due to the size of some trampolines or the order size we will need to ship through freight. We do not ship to APO/FPO, P.O. Boxes, or International Address outside North America. Once the order is placed you will receive a conformation email with the order details. When the order is shipped we will email you a tracking number soon after. If you need to cancel an order make sure to call or email us as soon as possible before you get the shipping email.If your order is going to be delivered through a freight company, you will get called by the freight company before delivery to schedule a delivery appointment. If the freight company leaves you a message, please call them back to schedule your delivery as soon as possible. Failure to call them in a timely manner will result in storage charges billed to you for the holding of your order. Please make sure the person that will accept the delivery is over the age of 18. The shipment that is delivered will be brought to the curbside. Delivery drivers are not required to carry it any further than that. If you require the trampoline be brought inside or to the backyard you will need to talk to the freight company or ask your delivery driver (hint: ask politely and offer a tip for the work).Also know that if you live on a small street that can not be accessed easily by a freight truck additional charges may apply. Call us before the order so that we can setup the correct shipping with the freight company. If you any other questions about the freght service call or email and someone can answer your questions. If you need to cancel your transaction, please contact our Customer Service as soon as possible at 1-972-855-8679 and please have the order confirmation number ready. In case you are not able to contact Customer Service by phone, send an email right away to joey@JumpyJoey.com. On the subject line would you please include your order confirmation number and the word "CANCELLATION". For instance, the email subject line should say "100xxxxx CANCELLATION". Then in the order please give us your Full name and the reason for the cancellation. We offer FREE shipping on most of the products listed on our website, and fully absorb those costs if you keep your purchase. However, if you do not contact us to cancel an order before it leaves our warehouse, all shipping costs as well as a 20% warehouse restocking fee will be deducted from the purchase price before any refund is issued. We would like you to definitely enjoy your new purchase, therefore we provide a one month refund policy of all items that’s thirty days from the moment you obtain the merchandise. The merchandise should be in saleable condition, with original packing materials. We'll refund your cost, minus all actual shipping costs (from where you are) and minus a restocking fee comparable to 20% from the cost (including relevant tax, if any). 1) Broken or defective goods which we'll happily replace with similar item free of charge for you. 2) Marketing products that have been provided totally free. 3) All products under $50.00 each - for example alternative parts, Anchor Kits, GamePaks, etc. - aren't returnable or refundable. 4) Products came back without prior written authorization (RMA) from Jumpy Joey or came back a lot more than thirty days after receiving the product(s) for you. 5) Products that are returned "freight collect." 6) Products not bought from Jumpy Joey. To set up any return, contact our Customer Support department at 1-972-855-8679 or email us at sales@jumyjoey.com. Your return is going to be posted, you'll be given an RMA number to keep for your records, and you'll get an email confirmation from the return once it's finished being processed in our system. Please allow 3-4 days for processing, after we receive your returned item(s). Your money will be returned to your credit card, or payment proccessor. Jumpy Joey doesn't will not pay for unauthorized repairs or returns. Please be aware that unidentifiable or unauthorized returns is going to be declined. All returns should have coming back Merchandise Authorization (RMA) number released by Jumpy Joey. Jumpy Joey is undoubtedly worried about your satisfaction. So should you choose to refuse delivery of the item genuinely purchased from us, a credit is going to be released for that item as deliver to within our Return Guarantee. If you're declining delivery since the shipment seems broken, we'd prefer that you simply accept delivery of the item(s), and give us a call immediately if there's an issue. Contact our Customer Support department at 1-972-855-8679 to go over your concerns, and any issues you have so that we can do whatever possible to rectify the problem. Please call within five days of delivery of items, to report any missing, broken, or defective parts. Jumpy Joey will require prompt action to rectify the problem. • If your part is missing, we'll send it for you immediately via USPS Priority Mail or UPS Ground (with respect to the size the part). • If your part is broken or defective, we'll send a alternative and provide instructions on how to proceed next. We might request that you simply throw it out, or we'll arrange to be acquired at no cost for you. Please keep all original packing materials, just in case a product must be came back. However, should you still wish to return your item(s), we are able to have UPS pickup your package to send it back to Jumpy Joey. For any other questions or concerns please contact us and we will be happy to answer any of your questions. 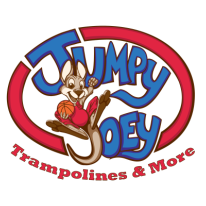 The Jumpy Joey and its selected affiliates offer this site to you under the following conditions. By visiting and/or using this site in any way, such as browsing products or placing an order, you agree to these conditions. Please read them carefully. These terms and conditions may change with or without notice and are effective immediately upon being posted.Please review our Privacy Notice, which also governs your visit to The Jumpy Joey. 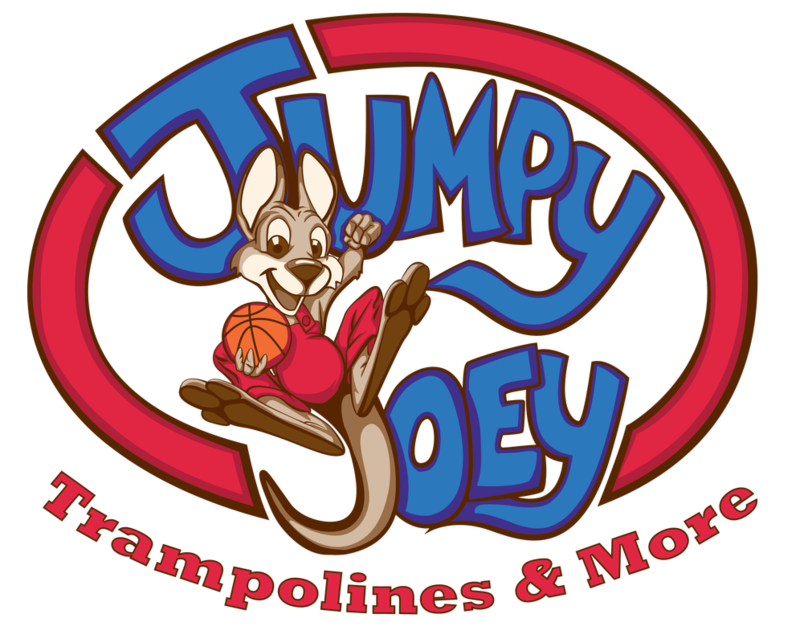 All content on The Jumpy Joey, including text, icons, graphics, logos, images and software is the property of The Jumpy Joey or its affiliates and protected by United States and international copyright laws. Please review our Copyright Notice. The Jumpy Joey reserves the right to cancel products or services to any customer for any reason at any time. The customer's sole remedy in such cases will be the full refund of any funds The Jumpy Joey has collected in reference to the cancelled products and/or services. The Jumpy Joey attempts to provide current and accurate information on its web sites, email and telephone communications. The Jumpy Joey does not, however, warrant that this information is correct, accurate or complete. Information communicated by The Jumpy Joey is not a contract, and should not be treated as such. The sole remedy of a customer acting on incorrect information is to request a cancellation of the order placed as a result of this incorrect information. Please review our Order & Return Policies. While The Jumpy Joey makes commercially accepted best efforts to maintain the security of customer transactions, its liability in cases of third party theft or misuse is limited to the funds which The Jumpy Joey has already collected in reference to the customer's most recent order. THIS SITE IS PROVIDED ON AN 'AS IS' AND 'AS AVAILABLE' BASIS. The Jumpy Joey MAKES NO REPRESENTATIONS OR WARRANTIES OF ANY KIND, WHETHER EXPRESS OR IMPLIED, AS TO THE OPERATION OF THIS SITE OR THE INFORMATION, CONTENT, MATERIALS OR PRODUCTS INCLUDED ON IT. YOU EXPRESSLY AGREE THAT YOUR USE OF THIS SITE IS AT YOUR SOLE RISK, BY YOUR OWN FREE WILL, AND THAT YOU ARE SOLELY RESPONSIBLE FOR ANY CONSEQUENCES ARISING FROM THIS USE. The Jumpy Joey DISCLAIMS ALL WARRANTIES, WHETHER EXPRESSED OR IMPLIED, INCLUDING, BUT NOT LIMITED TO, IMPLIED WARRANTIES OF MERCHANTABILITY AND/OR FITNESS FOR A PARTICULAR PURPOSE. The Jumpy Joey DOES NOT WARRANT THAT THIS SITE, ITS SERVERS, OR ITS ELECTRONIC COMMUNICATION ARE FREE OF VIRUSES OR OTHER HARMFUL COMPONENTS. The Jumpy Joey WILL NOT BE LIABLE FOR ANY DAMAGES OF ANY KIND ARISING FROM THE USE OF THIS SITE, INCLUDING, BUT NOT LIMITED TO DIRECT, INDIRECT, INCIDENTAL, PUNITIVE AND CONSEQUENTIAL DAMAGES. You agree that the laws of the state for which you are a resident, without regard to principles of conflict of laws, will govern these Terms of Service and any dispute of any sort that might arise between you and Mercantila, Inc. or its affiliates. If you reside outside the United States then the laws of the state of California will govern any dispute along the foregoing terms. WE DO NOT SELL YOUR INFORMATION! BE ASSURED THAT YOUR INFORMATION STAYS WITH US ONLY. Payment, Pricing & Promotions Jumpy Joey reserves the right to discontinue or make changes to its products. In the event that a product ordered is not available, Jumpy Joey shall have the right to place the order on backorder or substitute products that, at Jumpy Joey's discretion, are of a comparable or higher grade, quality, or price. The terms and length of warranty coverage are honored based solely upon the model purchased, not the model supplied by Jumpy Joey. Viewing Orders You can view all your orders placed in your My Account. Once you log on you can see My Orders on the left side menu. Updating Account Information To edit all your account information log in to My Account and you can click each of the options on the left. Make sure to save any information changed by clicking the save button on the bottom.